Better Homes and Gardens wall sconces. Dimensions; 6.5 in. x 4.8 in. x 14.6 in. These candles are very beautiful. However, they were difficult to find. We had to return the first set, because a piece was missing. We thought our second one was good and we checked it before we left the store; however, after hanging it up, we realized that the part that holds the candle is crooked. So, even though the glass is a little crooked in one of the frames, they still look beautiful. We enjoyed putting the LED candles in them. 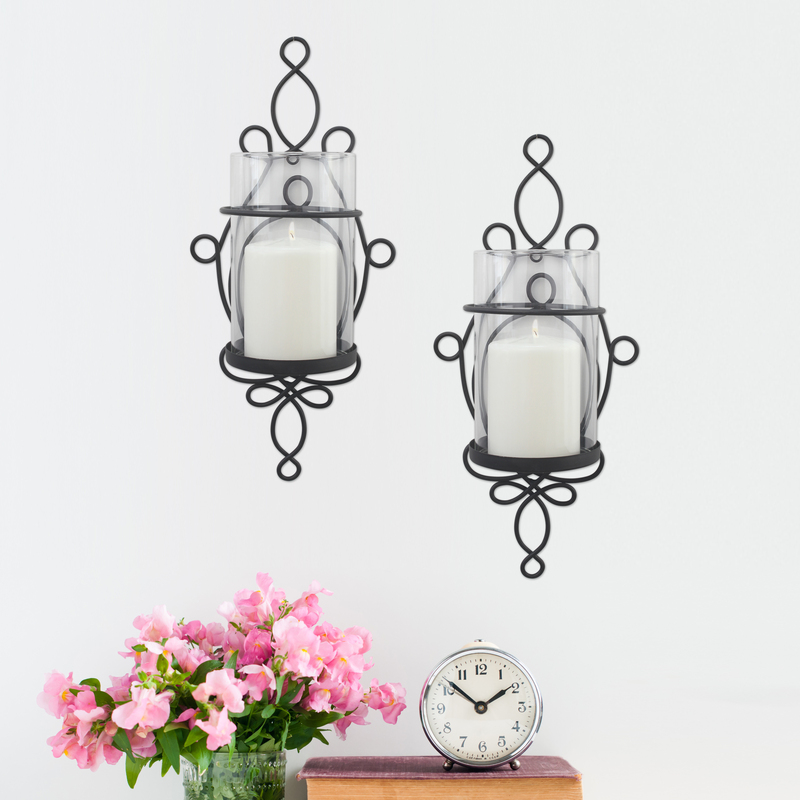 Home territory searches the web to find the best prices and availability on Sconces and related products foir your home like Better Homes and Gardens Wall Sconce Pillar Candle Holders, 2-Piece. For this page, related items include products we find that match the following keywords: "Sconce" at our vendor partner Walmart - Click More Info / Buy Now to check for price rollbacks!. Better Homes and Gardens Wall Sconce Pillar Candle Holders, 2-Piece is one of 69 Sconces and related products available for sale through HomeTerritory.com, If you have any questions on this product, please give us a call at 734-971-1210 during the hours of 9am - 5pm EST for assistance. Thank you for shopping at Home Territory, the home furnishings superstore!